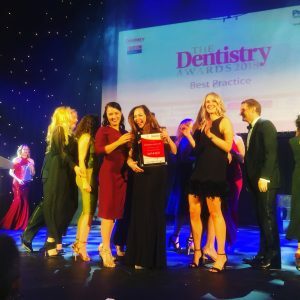 Corona Dental are delighted to offer heartfelt congratulations to Corona client Bishopsgate Dental Care on their fantastic evening at last Friday’s Dentistry Awards (http://www.thedentistryawards.com/) in the Athena, Leicester. Dr Gina Vega and her team scooped the award categories for Best Practice – London and Highly Commended Best Patient Care – London. The team had a fantastic night and were delighted to see all their hard work recognised by the judging panel. The Dentistry Awards have been a major fixture in the dental calendar for more than 10 years and could be regarded as ‘Dentistry’s Oscars’. If you and your practice would like to be an award winning dental practice then you need to speak to Corona Dental. Dental patients love to attend an award winning dental practice. They love that their choice of dentist has been validated by a third party and are likely to share this with family and friends. Carrying an award winning logo on your dental website and across your social media will see a significant increase in conversions and contacts. 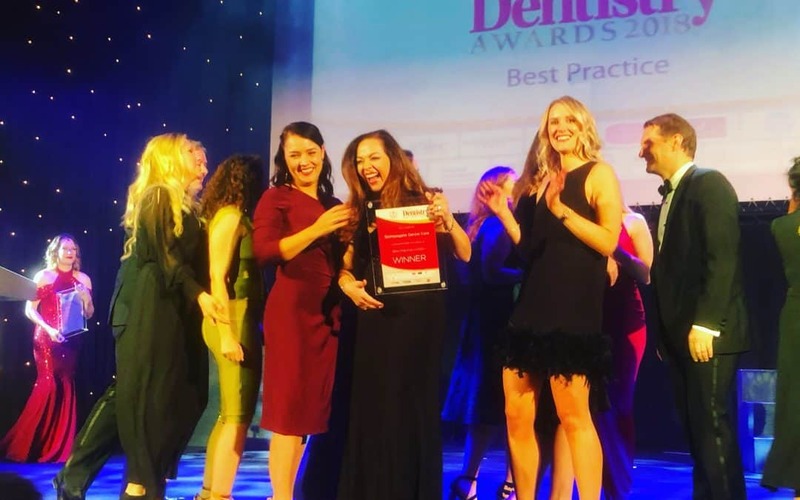 You can let us get on show the award judging panel your best side and let you carry on with the award-winning dentistry! We have been tremendously successful in helping numerous UK and Irish practices win awards over the last 10 years – indeed we have probably written more award winning dental entries than anyone else. We can help you increase brand awareness and improve profitability for many years. Thoroughly well deserved Gina et al!